Apple has just started rolling out its promised second minor point update - iOS 6.1.2, addressing minor network activity-related problems for Exchange calendar users. There is no information whether iOS 6.1.2 fixes a passcode bypass bug, which has been highly-publicized and considered to be extremely dangerous in privacy terms. According to the most recent reports the evasi0n jailbreak tool appears to still be working under iOS 6.1.2, at last iPad mini Wi-Fi and iPhone 5 are confirmed to still be jailbreakable. Even though the two iDevices are confirmed to be up and working well with evasi0n, this does not mean you should update to iOS 6.1.2 right now, unless you're willing to lose your jailbreak for the time being, as it still needs further testing before the evad3rs can release an update to support the firmware. For those who own jailbroken devices, it is hardly recommended to wait for evasi0n to be thoroughly tested and updated. 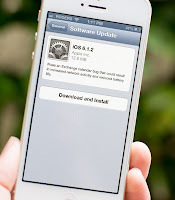 Also, it is important to note that you must do a restore and update through iTunes and not use the over-the-air (OTA) software update feature to update to iOS 6.1.2, as, regardless the simplicity, it may cause issues while attempting to jailbreak your device.